India’s popular 2 wheeler manufacturer, Honda Motorcycle and Scooter India is aggressively adding new motorcycles to its portfolio. The next motorcycle from Honda is going to be Honda Mystery, a 125cc motorcycle which is expected to be launched on November 19th. Just few days back, Honda introduced 2 new colors to its Honda CBR250R range which is priced at 1.6 lakhs for the standard variant. Trusted sources from Honda have revealed details to GaadiWaadi, that there is going to be a new motorcycle from Honda which shall be launched in the month of November this year. The name of the motorcycle will be coined as “Mystery“. In the recently held Revfest, Honda had hinted few details on its upcoming motorcycle. Honda Mystery bike when spotted during the road worthy tests was found with a 125cc engine. The photos of 125cc Mystery motorcycle (Spyshots) has also been revealed too. 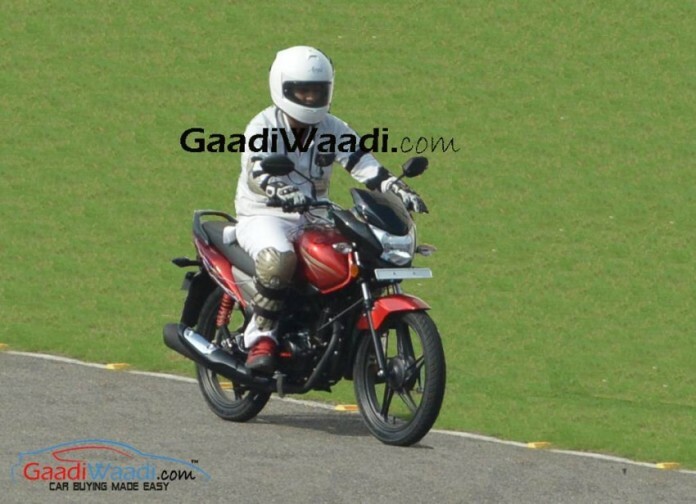 GaadiWaadi has also confirmed that the launch date of the new Honda Mystery is on November 19th. As per the earlier plan, Honda will finish launching all its planned products within this year. Along with Honda Mystery, the Hornet 160R will also be launched. There is no official confirmation on the launch of Honda Mystery motorcycle yet. We will reveal the full specifications, features and price details of Honda Mystery when it is officially launched.